Romantic 17th century village house with private spa, bakery and butcher within walking distance. In a narrow village lane, behind an oak door, you enter into a dream world. 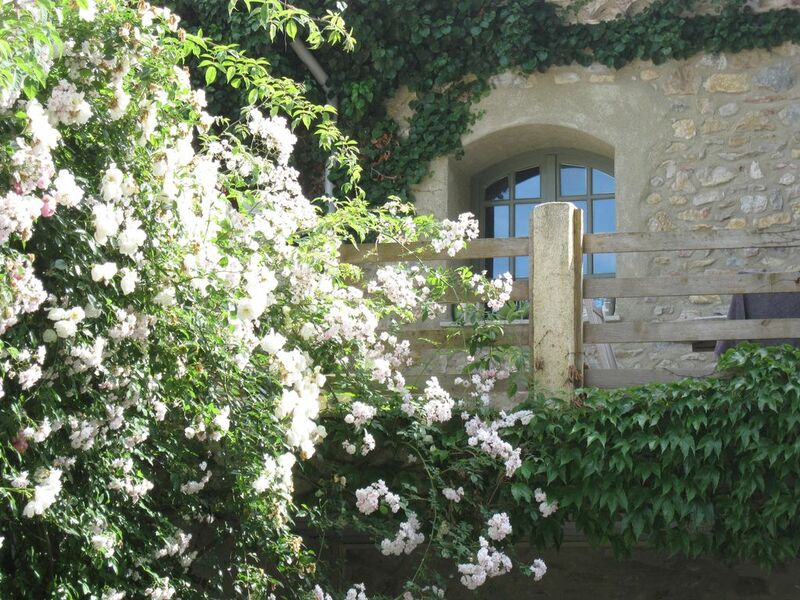 Located in the heart of Cathar country, near the lake Montbel, base for nature walks, cycle routes (o. A. Canal Du Midi). Carcassonne, Toulouse, Mirepoix and the beautiful Cathare ... Too many to mention, you must discover it yourself! We had such a lovely holiday and hope to return. Mia was very helpful throughout the booking process and responds quickly to queries. The cottage is very comfortable and beautifully decorated with several areas to relax. It is all on the first floor with steep stairs so would be difficult for someone who is less mobile. The second bedroom is slightly separate across a courtyard - perfect for our son to have some privacy. Garden is pretty, with different seating areas - we enjoyed using the vegetables & herbs for supper. Gorgeous pool which is shared with 3 families. There is a friendly local bar that provides snacks and two small local shops. No restaurant but there are plans to establish one. There is a helpful local housekeeper to welcome you and respond if there are local problems - we had a minor issue and she came within an hour to help. Only minor suggestions are to provide kitchen scissors and a brush / dustpan to enable residents to keep it tidy. Eine gemütliche Unterkunft im Herzen des Ariège mit einer herzlichen Gastgeberin, die sich außerdem noch als tolle Köchin entpuppte! La maison est très jolie et très agréable. Malgré 1 temps mitigé nous avons passé 1 magnifique séjour. La propriétaire est vraiment adorable 😀�. Nous avons aussi trouvé le village charmant et animé. Romantic 17th century house with modern comfort in typical village, butcher and bakery within walking distance, beautiful garden with roses, fruit and vegetable picking garden, surrounded by the most beautiful landscapes you've ever seen. At 400 m from the house you see on a ridge the Montsegur Cathar castle lie on the other side of the lake Montbel. 10 m from the house is an old railway that has now become a unique bike path with tunnels and bridges through the Pyrenees.